상담은 이렇게 신청할 수 있어요! ※ 기관신청이 아닌 개인상담신청은 전화로 해주세요. 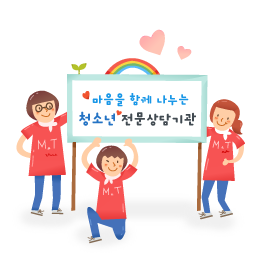 Copyright 2017 Youth counseling service center / Youth Support Center, Namdong-gu, dream dreams, Namdong-gu. All rights reserved.